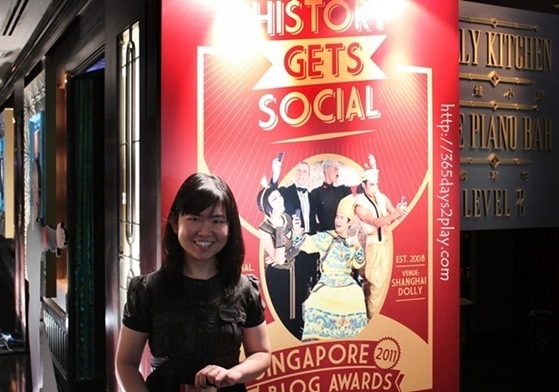 Yesterday I attended the Singapore Blog Awards 2011 held at Shanghai Dolly at Clarke Quay. I hadn’t expected the place to be so packed, but packed it sure was. 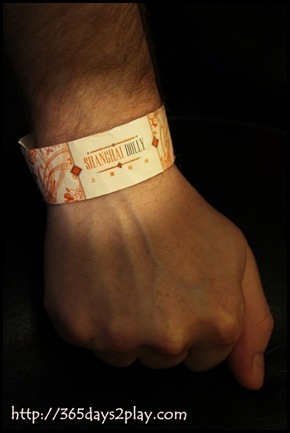 I was just glad to be able to snag one of the last few bar seats available. Quite a number of enthusiastic bloggers also dressed up as historical characters in line with the theme of the event. Here’s me dressed up as…ummm… myself. See, packed! There was tons of food provided, like Domino’s pizza and other light bites. 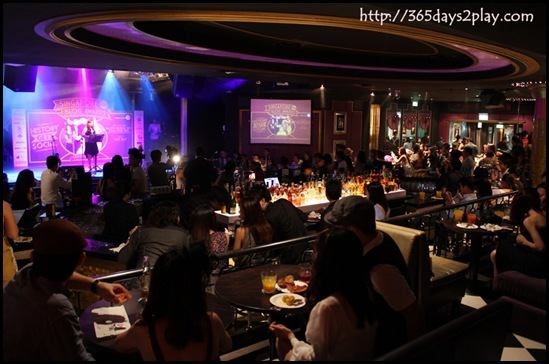 Also free flow of soft drinks and Tiger Beer Crystal. 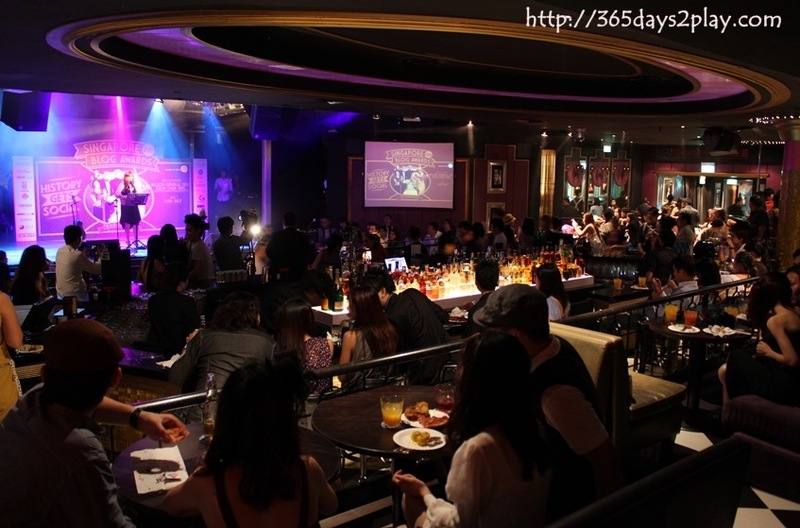 I’ve never been to Shanghai Dolly at night before. Wonder what that’s like. 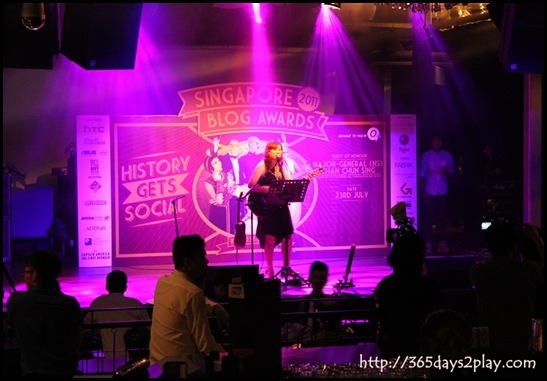 Shimona Kee entertaining us with songs before the event started. 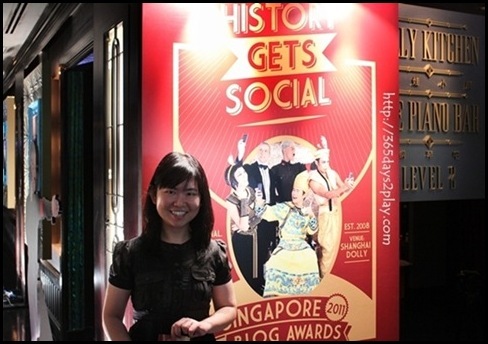 Click here for Shimona’s website or find her on twitter @simplyshimona. Major-General (NS) Chan Chun Sing, Acting Minister for Community Development, Youth and Sports and also the youngest member of the Cabinet at only 42 was the guest of honour for the day. 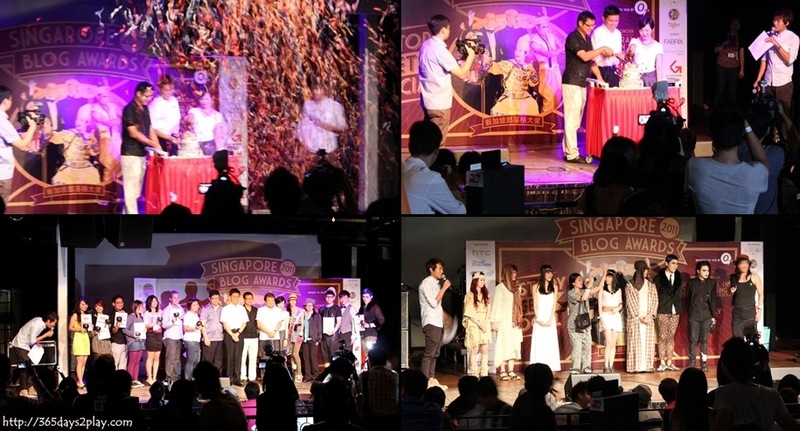 Not too sure what other events he gets invited to, but the Singapore Blog Awards must surely be one of the most unique ones he has attended! 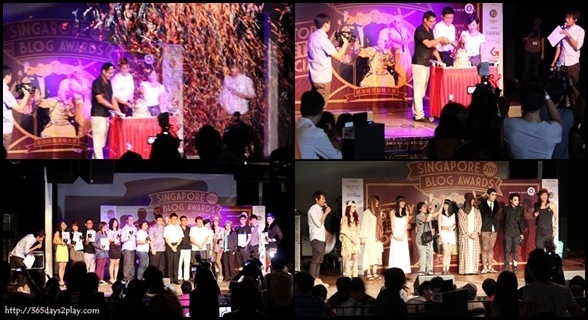 I hope he maintains his interest in reading all our blogs well beyond this event! Here’s a closer look at the Singapore Blog Award 2011 winners. 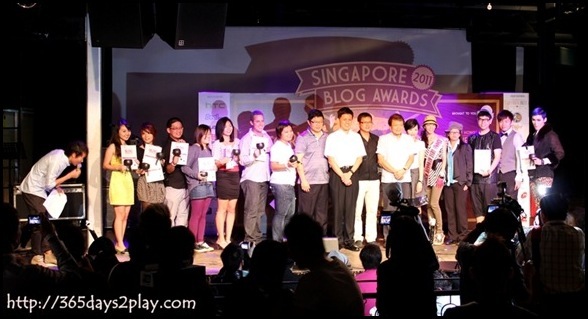 For the complete list of winners, do go to the Singapore Blog Awards website. Thanks once again to Omy for the invite! Didn’t realise that Shanghai Dolly also has a Chinese restaurant. You can check out the Dolly Restaurant menu here. That’s wonderful 🙂 Did you get an award too? You’ve been doing a great job and I always look to your blog for new cafes to visit. So far I discovered quite a number for the first time through your posts like Shots. Thanks Bookjunkie for being one of my loyal readers from practically day one, and commenting faithfully too! Nope I didn’t win an award, next year maybe. 🙂 You should enter for the lifestyle category! LOL why not?! Haha secretive leh you! 😛 Were you also present at the Fisherman’s Market tasting? Hey! I didn’t see you there! Or maybe I did, but didn’t realise it was you, haha! There were so many people there who seemed *vaguely* familiar because I had probably come across their blogs, but didn’t actually know them. Hey Kirsten, congrats on your win!!! I was hiding in a corner, you probably didn’t see me! The skit was damn boring. It would have been far more entertaining to have just splashed some paint on the wall and let everyone watch it dry. Can we be more positive here?? ?